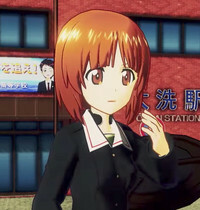 The ladies of Ōarai Girls High School and their many opponents are back on PlayStation 4. Or, rather, they will be this winter in Japan, when Bandai Namco unleashes the anime-based battle action game Girls und Panzer: Dream Tank Match. Details are light at the moment, but players can look forward to both off- and online battles, and you can see some footage in the teaser below. An official website is now live.